Thank you so much for your support to our Quarter Dock. We'd like to thank our customers and fans in sharing their thoughts both in compliments and comments. 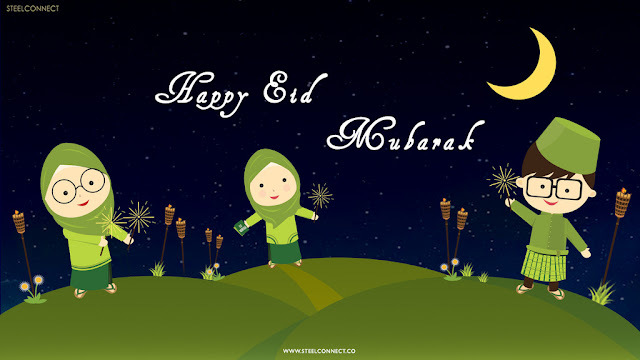 Which have help dearly for our team looking into the main concern of our product. Keep throwing in your thoughts. Your satisfaction is our identification. Oops...I totally forget the purpose i'm writing this blog updates. Let me come to the points. 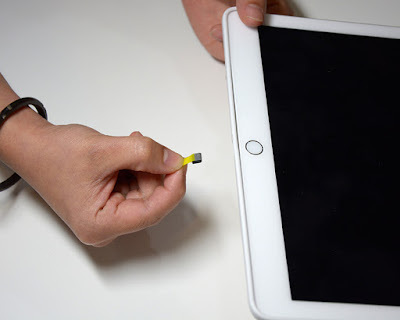 In the past few weeks, we received emails regarding the "Quarter Stick (connector) broke off into the iPad Pro lightening port and some are unable to take it off while some had took of themselves. We're extremely bump when we heard about it as this does not come to us during our product testing. Well, although its only about 7 out of 3000s had met with the unforeseen cases. We thought a precaution should be notify incase accident happened again. So, our team had tried to squeeze their brain off looking for a preventive solution. Not until one of our customer had share his idea and after several test to concur. We've therefore decided to come out with this blog to help prevent this from happening again in the future. 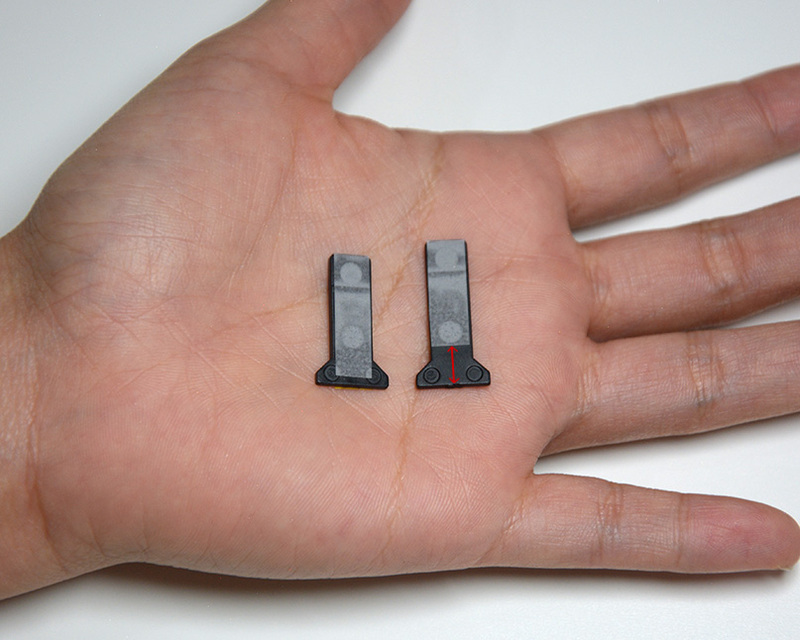 On the 1st picture, you may see Quarter Dock (Red) with the couple of sticks (connectors) with different length. You may curious now about "sticky note" was there! Yeah, this "sticky note" is going to hand you to take out the broken stick from the lightening port incase accident happened. 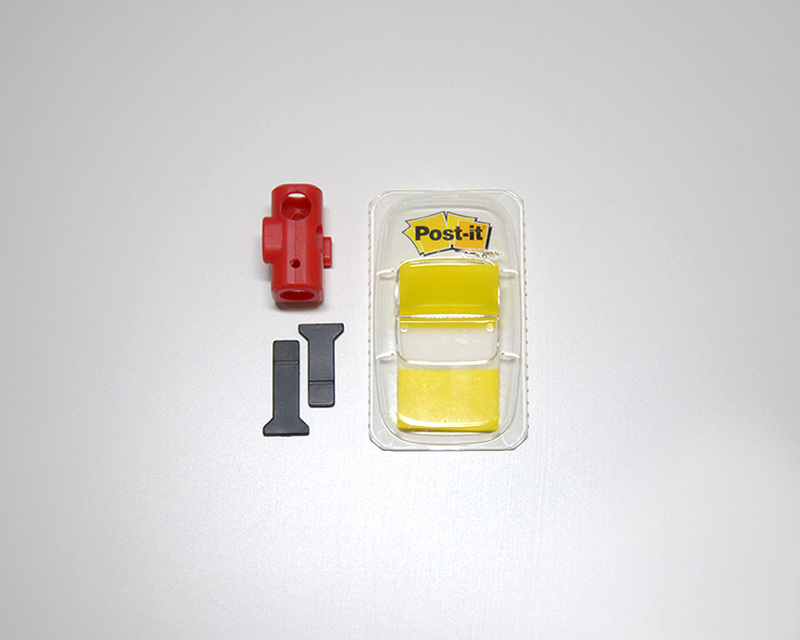 The "sticky note" is easy to access at your nearest stationary shop. This "sticky note" is highly recommended of its quality. Do not buy the paper quality material as it might not stand on scratches. Now, prepare a scissors and ruler with you and follow the flow. Now, take out a piece of "sticky note" from the box. Cut it into the approximate measurement that you see on the picture. 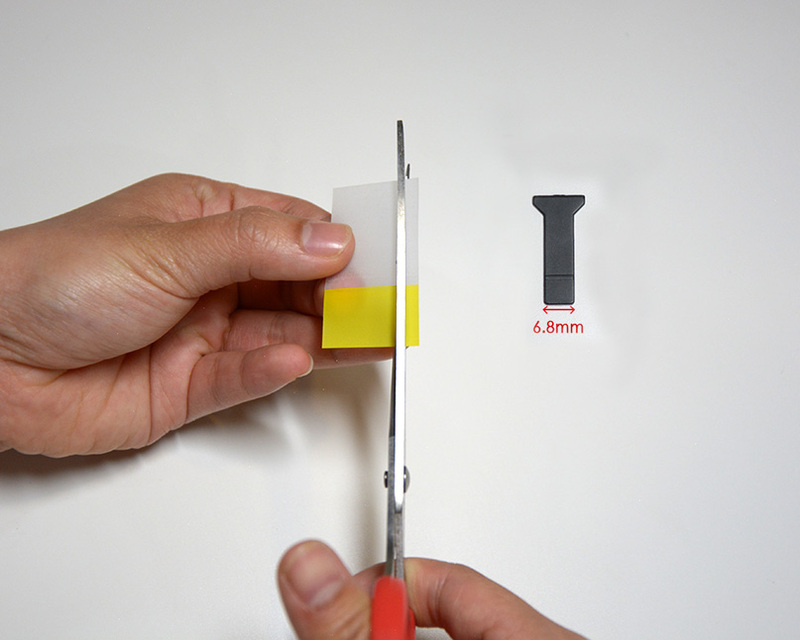 Make sure you cut it into 5-6mm (0.5-0.6cm) because the Quarter stick will be 6.8mm (0.68cm). 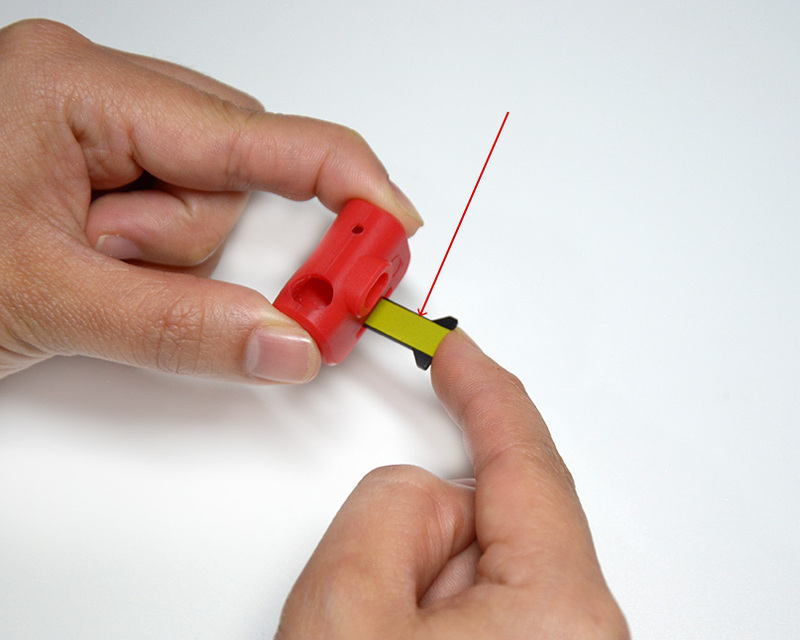 We cut it into less 0.8mm to prevent friction. Once done the first step, stick the "sticky note" on your Quarter stick (connector). Make sure the color layer (yellow) placed on the top of Quarter Stick (connector). You may have a look on the arrow provided on the picture. The next step is very simple. Fold the transparent layer backwards. 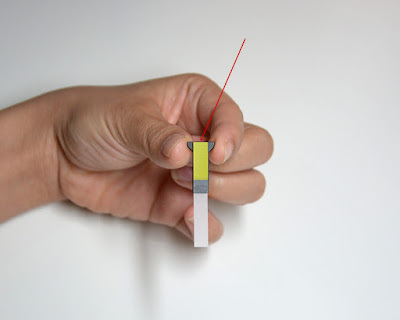 Make sure the layer sticked on the other side of the Quarter Stick (connector). You can see the difference between both Quarter Stick (connector) after the transparent layer sticks backwards. There will be a gap for the long Quarter Stick (connector). You can see the arrow (red) on the above picture. Insert the Quarter Stick (connector) into the Quarter Dock. Make sure the yellow layer is upwards. Follow the arrow (red) on the picture. It will be slightly tight but the quarter dock measurements was initially design to loose by a space of 0.10mm. In this case it turn out to be just nice and you'll manage to insert it into your Quarter dock and iPad Pro lightning port. On this image, you can see that it's a aftermath of how we've tried in breaking the quarter by purpose at the corner of a desk. (please don't learn that, we did it just to make sure it works before sharing this) The Quarter Stick broke off and the yellow layer was left outside the lightning port. This yellow stick will lend you a hand to pull out the fragment that stuck inside the lightning port. Use medium force to pull out the fragment from the lightning port. Do not worry, its working and you can see it on the picture above. So, its now worry free. Grab the "sticky note" now at the nearest stationary shop to avoid Quarter Stick (connector) off any accident. Thank you so much for your support. Do drop us an email at support@steelconnect.co with any tips and comments if you've encounter any.